Latex mattresses have never been more affordable due to the mattress in a box, direct to consumer options available these days so there’s no surprise that many consumers have taken the latex mattress plunge lately. Latex mattresses are an excellent alternative to innerspring and memory foam and provide sleepers with a luxurious sleep environment that many latex lovers swear by. If you are in the market for a new mattress, we highly recommend considering a latex mattress. Latex has vastly different properties than innerspring or memory foam so make sure to fully understand what you are getting before you make an uninformed purchase. Latex mattresses fall into several categories when it comes to the type of latex used in the mattress. The most common latex lingo that you should pay attention to is the latex type. Dunlop Latex and Talalay Latex or natural latex are commonly used in latex mattresses. Dunlop Latex is less expensive than Talalay Latex. 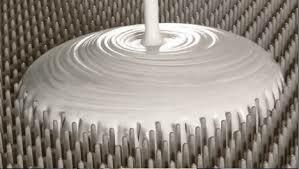 The pouring process is vastly different for Dunlop vs Talalay and tradionally, Talalay Latex has been exponentially more expensive than Dunlop latex. 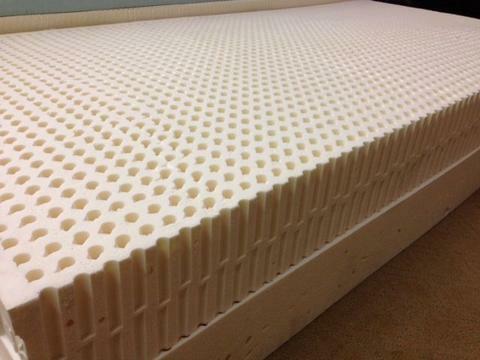 Talalay Latex has a more time consuming manufacturing process and also goes through a multi rinsing cycle. What does the pouring process have to do with my mattress? 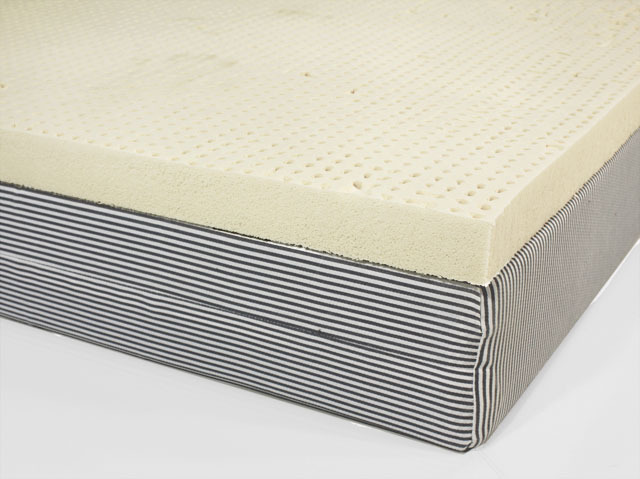 Due to the manufacturing and pouring process that Dunlop and Talalay Latex go through to reach a solid state, the firmness of the mattress is vastly different. Talalay Latex is much softer and bouncier than Dunlop Latex. Dunlop Latex feels dense while Talalay is lighter and has a fluffy like feeling. The flash frozen procedure that Talalay Latex goes through during the pouring process allows for consistent firmness levels pour after pour. Since Dunlop Latex doesn’t go through this phase, firmness consistency sometimes varies from pour to pour. Which type of latex is best for my sleep style? Depending on sleep style and preferred levels of firmness, Dunlop or Talalay Latex would be a great fit for you. Dunlop is firm and dense. If you are a stomach sleeper, I would recommend Dunlop Latex. I also recommend Dunlop for heavier sleepers due to the density. Talalay Latex is much lighter and buoyant. If you are a side or back sleeper, Talalay Latex would be a better option for you. The medium firmness of Talalay Latex could be too soft for heavy sleepers or those who are stomach sleepers. Dunlop Latex, in my opinion, is the firmest sleep surface I have reviewed. What’s the difference in sleeping on memory foam vs latex? When you sleep on latex, you sleep on top of the mattress. When you sleep on memory foam, you sleep in the mattress. The hug and sinking feeling of foam doesn’t happen with latex. Latex is knowing for not sleeping hot where some foam mattresses are known for lacking adequate temperature control. Latex provides a bounce more similar to innerspring mattresses and has a more resilient sleep surface when compared to foam. Latex is also very durable so a high quality latex mattress will last at least 20 years. Latex mattresses are a great option for you if you sleep hot and do not like memory foam. Latex provides a hypoallergenic sleep surface that will stand the test of time in addition to a ton of other positive perks. We have reviewed several awesome latex mattresses lately and can attest to the quality when you order online. Check out some of our latex mattress reviews and upgrade your sleep today!